If you're looking for some stage theater action to get into - full scale productions, intimate settings, productions backed by Nobel Laureates, even improv or sketch comedy - look no further. Below is a list from around the country of active groups and organizations looking to promote Asian Americans and their voices (a couple of which you may recognize from previous posts). Note: Descriptions for each of the listings in the Mission/About section were compiled from their websites. 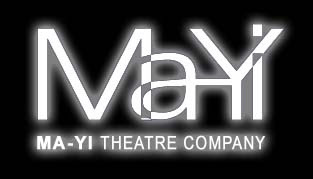 Mission/About: Founded in 1989, Ma-Yi Theater Company is an Obie Award-winning, not-or-profit 501(3)(c) organization whose primary mission is to develop new plays and performance works that essay Asian American experiences. We provide a home where artists can take big creative risks and investigate new avenues of collaboration as they hone individual and collective skills. We encourage our artists to engage their communities in vigorous dialogues that push Asian American aesthetics beyond easily identifiable Orientalist markers. We challenge popular prescriptions of what culturally specific theater should be by producing challenging, forward-thinking plays written by today's emerging crop of new playwrights. Mission/About: The National Asian American Theatre Company (NAATCO) was founded in 1989 by Richard Eng and Mia Katigbak to: Promote and support Asian American actors, directors, designers, and technicians through the performance of European and American classical and contemporary works - Actively develop an Asian American audience and encourage Asian Americans to become a significant part of a more diverse audience in American theatre - Cultivate in non-Asian Americans an appreciation of Asian American contributions to the development of theatre arts in America today. Right now they are going through a period of restructuring - and putting out a call to help save the AATC, and with the help of patrons and a strong community behind them, they can hopefully continue in their service for giving a place for Asian-American artists to have a voice on the stage. Mission/About: The Asian American Theater Company (AATC) was established in 1973 to develop and present original works of theater about Americans of Asian and Pacific Islander descent. Three decades later, we are still committed to producing groundbreaking, entertaining and innovative art. We are not only a production company, but also a workshop where Asian Pacific Islander writers, actors and directors can explore ideas, understanding that we won't always know where those ideas will lead. Whether these works end up in video, on film or on stage, they carry with them the Asian American Theater's purpose: to explore who we are as a people and a community, and in so doing, to bring us closer together. Mission/About: Our mission is to create theatrical productions that celebrate the Asian American experience, and present fresh perspectives on traditional works. AART is dedicated to the production of plays by Asian American dramatists, and the development and support of Asian American theatre artists. These plays generally, but not exclusively, feature the voices of the Asian American community. Such plays give actors opportunities to perform in roles they would otherwise have little chance to do in "mainstream" theatres. Similarly, the production of non-Asian plays has always been a vital part of our work, giving audiences a chance to see Asian Americans as simply, Americans -- beyond race, beyond preconceptions, beyond boundaries. About: The Pork Filed Players is Seattle second oldest sketch comedy group. Since 1997, PFP has been the Northwest's premiere Asian American sketch comedy group, touring from Eugene, Oregon to Vancouver, BC, racking up appearances at the very first two Seattle Sketchfests, Bumbershoot 2004 and SketchOff@%#? !, the first international Asian sketch comedy competition. Over the years, the Players have employed an ever changing cast of characters in their never-ending battle for truth, pursuit of justice and finding out whatever the hell they mean by the American way of life in the 21st Century. About: SIS Productions was created because of the lack of representation of Asian Americans on television and in film, and something was needed to help fill that void locally. SIS Productions strives to provide more opportunities for local Asian American artists to work, and more importantly to provide the chance for those who were interested in taking on positions of leadership by giving them a chance to produce. By giving Asian Americans the opportunity to produce, to write, to direct, to design, and to act, SIS hopes to help develop more APA's with viable skills in this field, and therefore create greater visibility for them. Mission/About: To be a premiere artistic company that creates theater and taiko from the heart of the Asian American experience. We give theatrical voice and vision to the stories of our Asian American community and culture. We create and interpret works born of the union of Asian and American cultures. We envision theater as a total sensory experience, merging ancient forms, traditions and stories with contemporary ones. We are committed to the development of new artists. We create works that move, provoke and challenge our audiences to understand, embrace and celebrate cultural diversity. 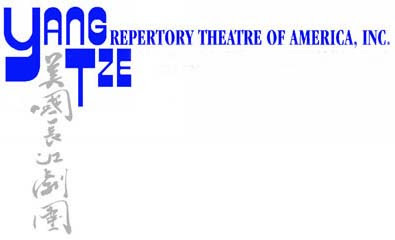 Mission/About: Yangtze Repertory Theatre of America was founded in 1992 to produce works for and by Asian artists. Since then, it has presented 76 events, and has become New York’s most significant entry point for dramatic works from Chinese-speaking countries and a place of collaboration for artists from various parts of Asia. 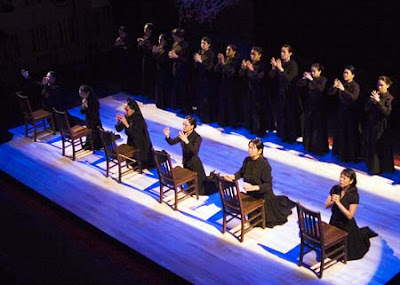 Yangtze and its artistic director have been responsible for the New York debuts of many notable artists, including Dr. Wang XiaoYing, Deputy Director of China's National Theater in Beijing, and Gao Xingjian, the 2000 Nobel Laureate in Literature, who was brought to NY by Yangtze to direct his own play, "Between Life and Death," and to present a showing of his ink paintings. Mission/About: To celebrate the artistic expressiveness of Asian and American theatre artists under the highest standards of professional theatre; and professional productions; To encourage the production of new plays, especially those with contemporary Asian American themes; To draw upon the unique heritage of Asian Americans by utilizing the style, music and movement of Asian performing arts traditions in order to explore new theatrical forms; To nurture emerging Asian American talent through professionally led workshops and on-the-job training; To introduce Asian American Theatre to the general theatre-going public as well as the differently-abled; to deepen the appreciation and understanding of the Asian American cultural heritage. Mission/About: Created in response to community concerns about racial tension, the Asian Arts Initiative began programming in May 1993 with Philadelphia’s first- ever Asian American Arts Festival: “Live Traditions/Contemporary Issues” at the Painted Bride Art Center. 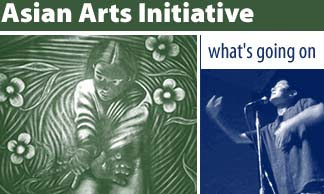 The Asian Arts Initiative has since expanded to become a community arts center that offers performances, exhibitions, workshops, and training for artists and everyday people who share our mission of community-based arts. We are grounded in the belief that all people have the right to creative expression, and that the arts can provide an important voice for Asian Americans and other groups whose lives and stories are marginalized in our society. About: Since 2002, Room To Improv has been entertaining audiences with its brand of improvisation. Founded by Elvin Lubrin, RTI seeks to create a space for Asian Americans to tell stories and to examine issues that are humorous to a diverse audience. 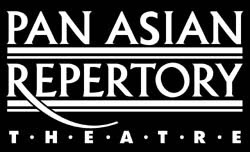 Mission/About: Established in 1965, East West Players has been called “the nation’s pre-eminent Asian American theater troupe” (New York Times 12/16/01) for our award-winning productions blending Eastern and Western movement, costumes, language, and music. EWP has premiered over 100 plays and musicals about the Asian Pacific American experience and has held over 1,000 readings and workshops. Our emphasis is on building bridges between East and West, and one measure of our success is an audience of 56% Asians and a remarkable 44% non-Asian attendance. About: hereandnow is a compelling Asian American theatre company that has performed across the nation for the past 17 years. hereandnow uses the collective voices of its diverse cast to reach out to the audience through universal themes of the show: that everyone comes from a unique experience, and that all people have stories to share.The hereandnow theatre company was founded in 1989 by John Miyasaki, with a group of young Asian Americans frustrated by the lack of non-stereotypical roles in plays, musicals, television and film. From its humble beginnings at East Los Angeles College hereandnow has grown and toured to over 200 different colleges, theatres and festivals. About: THE 18 MIGHTY MOUNTAIN WARRIORS grew out of a comedy ensemble called the New Godzilla Theater in residence at Asian American Theater Company in San Francisco from 1993-1994. 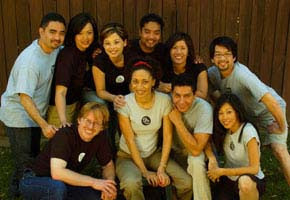 Since its premiere production, In Deep Shabu Shabu, in September 1994, the group has written and produced a dozen feature shows, performed numerous workshop productions and benefit one-night stands around the greater Bay Area, and toured nationally and internationally at colleges, universities, arts festivals and theatrical venues. The group is also known for its various “performances” at bars and clubs in San Francisco’s Japantown and Tenderloin districts. About: COLD TOFU’s goals are to present Asian American life from a new perspective and bridge the gap between performer and audience through pure entertainment and comedy. Asked what COLD TOFU is interested in portraying, Tokuda replies: “Human beings. That Asians growing up in America are like anyone else. Hopefully, the audience will come away a little less judgmental and more political aware, and be entertained and have a good time, too.”Over the years many have joined the ranks of COLD TOFU, including Amy Hill, Sab Shimono, Michael Paul Chan, and Dom Magwili. Though the cast has changed over the years, the mission of COLD TOFU has persevered: to promote diverse images of Asian Pacific Americans through comedy and to develop multiethnic talent through education and performance.